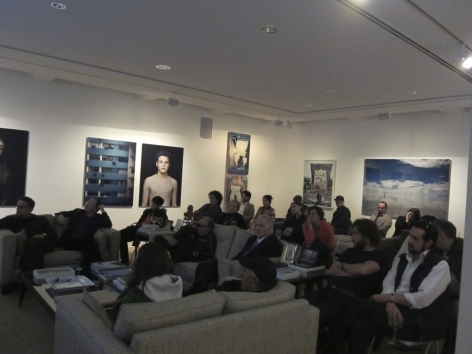 On January 12, 2012, the haudenschildGarage held a FUEL4TALK with Argentine artists Julian d’Angiolillo and Eduardo Molinari in conversation with Jennifer Flores Sternad. 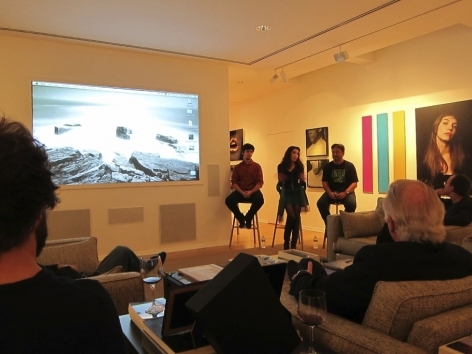 This FUEL4TALK took place in conjunction with the exhibition Arrhythmias of Counter-Production: Engaged Art in Argentina, 1995-2011 (University Art Gallery, UCSD October 6, 2011 - January 20, 2012) and a one-day conference, Arrhythmias: Narrative, Political Imagination & (im)possible Archives (January 13, 2012). 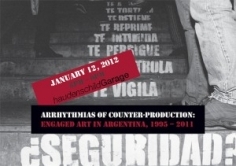 Arrhythmias showcased art practices developed in Argentina since the mid-1990s that demonstrate exceptionally creative, and widely diverse, modes of engagement with present-day social and political struggles. 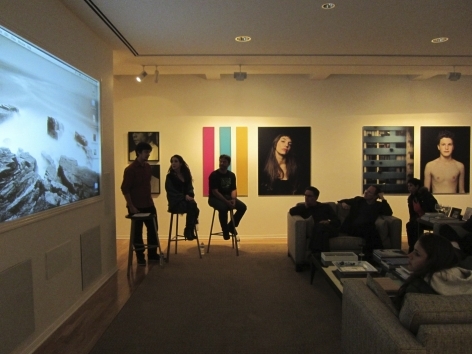 The artists featured in the exhibition combine artistic practices and the pursuit of creative experimentation with methodologies and epistemologies, such as those associated with militant research, radical pedagogy, direct action, community organizing, critical cartography, tactical media and Brechtian theater. 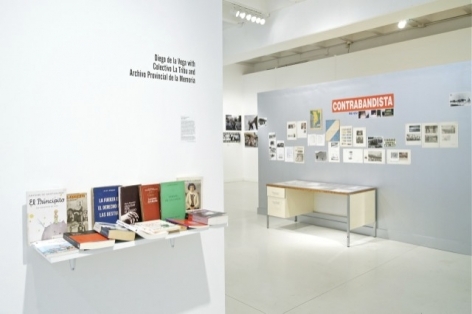 Many of the projects in the exhibition were developed through direct contact with, or in explicit alignment with, left social movements. 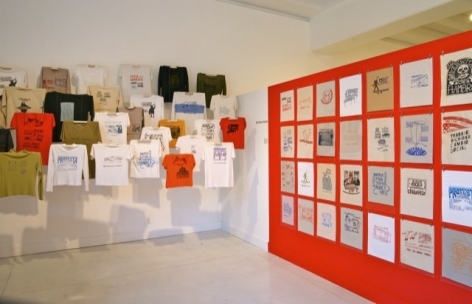 In some cases, the artistic practice was coextensive with popular forms of struggle or grass-roots organizing. 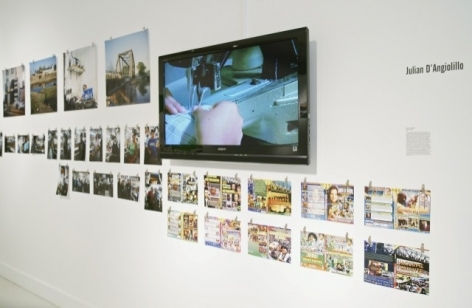 Other projects include anti-imperialist historiographical interventions that interweave the Southern Cone's colonial history with its present-day neoliberal order, studies of vast informal economies and the migrant and local labor that sustains them, and provocative street performances and media interventions that reveal the logic behind the discursive and legal system of anti-terrorism. 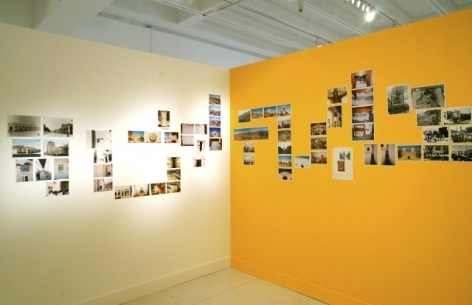 This work evolved in response to the various political and subjective tensions that accompanied the Argentine economic crisis, which peaked in 2001 and 2002. These include a profound negation of state institutions, the protagonism of autonomous social movements, and popular militancy and grass-roots organizing attached to aesthetic invention. 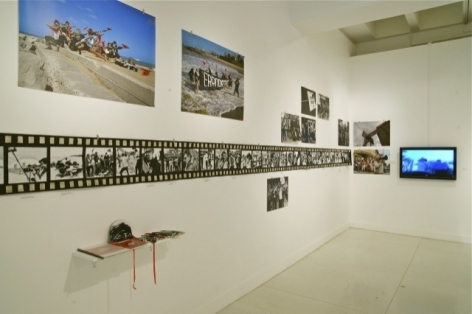 Another important point of reference for these artists is their understanding of the period popularly dubbed "post-crises," characterized by re-legitimation of the traditional political system, the repression and domestication of social movements and a turn towards a discourse of security. 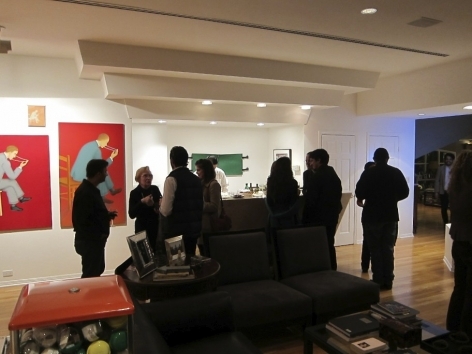 Described by its architects as a return to "normal capitalism," this transformation has been hailed internationally -- as well as by some sectors in Argentina -- as a remarkable "recovery" and successful return to stability.